Apollo 11 enacted the story of an audacious purpose, its execution, its triumph, and the means that achieved it - the story and the demonstration of man's highest potential... an achievement of man in his capacity as a rational being - an achievement of reason, of logic, of mathematics, of total dedication to the absolutism of reality... The mission was a moral code enacted in space. The flight of Apollo 11 will be the first achievement of a great new age; if not, it will be a glorious last -- not forever, but for a long, long time to come. When I first opened The Fountainhead by Ayn Rand on 28 April 1971, I had no inkling of how that act would launch me on a life of discovery, adventure, and triumph. The Fountainhead was published in 1943, in the midst of a world war killing millions of people, when the future of civilization was balanced on a crumbling fulcrum of philosophical confusion. The book likely did not help the United States win the war, but it helped rebuild the world in the aftermath. Year after year since 1943, The Fountainhead continues to be a bestseller, read by millions the world over. Three generations of readers--each generation passing the fountainhead of life contained within the book to the children of the next, advancing the world to the magnificence we have now. 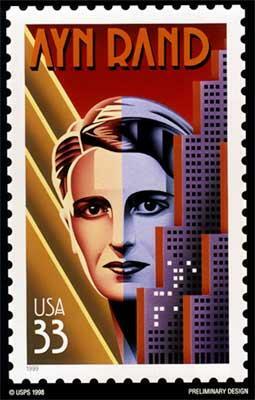 I feel horror at imagining what the world would be like now if The Fountainhead and Ayn Rand had not existed. What is the undying, irresistible appeal of The Fountainhead ? For me--even before I read the first sentence of the book, "Howard Roark laughed"--I was already captivated by the Introduction written by Ayn Rand for the 25th Anniversary Edition. In that essay, she gave her reason for The Fountainhead's immortality--and gave me the first alluring glimpse of what I was seeking but didn't know it. For the benefit of those on this list who have not heard of, or read, The Fountainhead , or have not read the Introduction recently, here are the passages explaining why the vision of life, exalted and wondrous, is sought by me and millions. This leads me to a wider issue which is involved in every line of The Fountainhead and which has to be understood if one wants to understand the causes of its lasting appeal. Religion's monopoly in the field of ethics has made it extremely difficult to communicate the emotional meaning and connotations of a rational view of life. Just as religion has preempted the field of ethics, turning morality against man, so it has usurped the highest moral concepts of our language, placing them outside this earth and beyond man's reach. "Exaltation" is usually taken to mean an emotional state evoked by contemplating the supernatural. "Worship" means the emotional experience of loyalty and dedication to something higher than man. "Reverence" means the emotion of a sacred respect, to be experienced on one's knees. "Sacred" means superior to and not-to-be-touched-by any concerns of man or of this earth. Etc. But such concepts do name actual emotions, even though no supernatural dimension exists; and these emotions are experienced as uplifting or ennobling, without the self-abasement required by religious definitions. What, then, is their source or referent in reality? It is the entire emotional realm of man's dedication to a moral ideal. Yet apart from the man-degrading aspects introduced by religion, that emotional realm is left unidentified, without concepts, words or recognition. It is in this sense, with this meaning and intention, that I would identify the sense of life dramatized in The Fountainhead as man-worship. It is an emotion that a few--a very few--men experience consistently; some men experience it in rare, single sparks that flash and die without consequences; some do not know what I am talking about; some do and spend their lives as frantically virulent spark-extinguishers. Do not confuse "man-worship" with the many attempts, not to emancipate morality from religion and bring it into the realm of reason, but to substitute a secular meaning for the worst, the most profoundly irrational elements of religion. For instance, there are all the variants of modern collectivism (communist, fascist, Nazi, etc. ), which preserve the religious-altruist ethics in full and merely substitute "society" for God as the beneficiary of man's self-immolation. There are the various schools of modern philosophy which, rejecting the law of identity, proclaim that reality is an indeterminate flux ruled by miracles and shaped by whims--not God's whims, but man's or "society's." These neo-mystics are not man-worshipers; they are merely the secularizers of as profound a hatred for man as that of their avowedly mystic predecessors. A cruder variant of the same hatred is represented by those concrete-bound, "statistical" mentalities who--unable to grasp the meaning of man's volition--declare that man cannot be an object of worship, since they have never encountered any specimens of humanity who deserved it. The man-worshipers, in my sense of the term, are those who see man's highest potential and strive to actualize it. The man-haters are those who regard man as a helpless, depraved, contemptible creature--and struggle never to let him discover otherwise. It is important here to remember that the only direct, introspective knowledge of man anyone possesses is of himself. [The exalted, reverent] view of man has rarely been expressed in human history. Today, it is virtually non-existent. Yet this is the view with which--in various degrees of longing, wistfulness, passion and agonized confusion--the best of mankind's youth start out in life. It is not even a view, for most of them, but a foggy, groping, undefined sense made of raw pain and incommunicable happiness. It is a sense of enormous expectation, the sense that one's life is important, that great achievements are within one's capacity, and that great things lie ahead. Subject: [Starship_Forum] Ayn Rand's "Apollo 11"
Ayn Rand was among the VIPs invited by NASA to witness the launch of Apollo 11, on July 16, 1969 -- the launch that was to land the first human beings on the Moon, and return them safely to Earth. 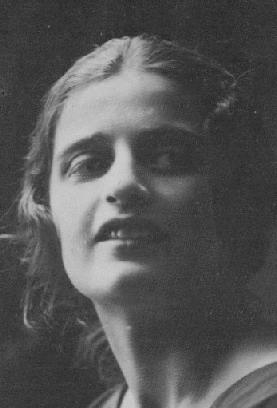 After the launch, Ayn Rand wrote an essay describing her experience of the event and her analysis of its moral-philosophical significance for the present and future of civilization. Later, in the last issue of her magazine, The Objectivist, Sept 1971, in its closing article, "Brief Summary", she wrote: "I have been asked to name my favorites among the articles I have written for The Objectivist. They are: Introduction to Objectivist Epistemology ..., "Apollo 11", and "The Comprachicos." Introduction to Objectivist Epistemology is the outstanding one, in terms of long-range importance. I love "Apollo 11" for its literary quality and its theme: in today's context, it was my one opportunity to discuss a great event. "The Comprachicos" was my grimmest and most 'humanitarian' task: it may help, I hope, to save young minds and lives." What did one feel afterward? An abnormal, tense overconcentration on the commonplace necessities of the immediate moment, such as stumbling over patches of rough gravel, running to find the appropriate guest bus. One had to overconcentrate, because one knew that one did not give a damn about anything, because one had no mind and no motivation left for any immediate action. How do you descend from a state of pure exaltation? What we had seen, in naked essentials -- but in reality, not in a work of art -- was the concretized abstraction of man's greatness. The meaning of the sight lay in the fact that when those dark-red wings of fire flared open, one knew that one was not looking at a normal occurrence, but at a cataclysm which, if unleashed by nature, would have wiped man out of existence -- and one knew also that this cataclysm was planned, unleashed and controlled by man, that this unimaginable power was ruled by his power and, obediently serving his purpose, was making way for a slender, rising craft. One knew that this spectacle was not the product of inanimate nature, like some aurora borealis, nor of chance, nor of luck, that it was unmistakably human -- with "human," for once, meaning grandeur -- that a purpose and a long, sustained, disciplined effort had gone to achieve this series of moments, and that man was succeeding, succeeding, succeeding! For once, if only for seven minutes, the worst among those who saw it had to feel -- not "How small is man by the side of the Grand Canyon!" -- but "How great is man and how safe is nature when he conquers it!" The most inspiring aspect of Apollo 11's flight was that it made such abstractions as rationality, knowledge, science, perceivable in direct, immediate experience. That it involved a landing on another celestial body was like a dramatist's emphasis on the dimensions of reason's power: it is not of enormous importance to most people that man lands on the moon; but that man can do it, is. Nothing on earth or beyond it is closed to the power of man's reason. Yes, reason could solve human problems -- but nothing else on earth or beyond it, can. This is the fundamental lesson to be learned from the triumph of Apollo 11... If the lesson is learned in time, the flight of Apollo 11 will be the first achievement of a great new age; if not, it will be a glorious last -- not forever, but for a long, long time to come.